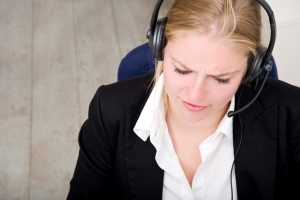 Call monitoring is a vital part of quality assurance in your call center. This important task helps ensure your agents are providing the best customer service possible to everyone that contacts your call center. It also helps identify areas in which agents need to improve, as well as agents who are performing well. Even though this task is such an essential part of having a quality call center, many companies struggle to devote the amount of time it requires to it. Call monitoring can be time consuming as it the reviewer first needs to pull the call, then listen, take notes, and provide feedback and coaching to the agent in question. Let Sage Advantage help by handling this vital call center task. There are many ways Sage Advantage can help manage the call monitoring load. First, we become an extension of your QA team, rather than a removed figure. This helps us establish your goals and work with you to improve the sills of your agents. Sage Advantage also offers call recording and call monitoring services. Our recording service can either be used in conjunction with our platform, or as an add on to another system. By having call easily accessible in our system, our team of experts can find them and review them. Another key part of call monitoring is the follow up. This entails giving feedback to the agent and providing the training and coaching required to help them perform at their best and improve their skills. TO help you accomplish this goal, Sage Advantage also offers coaching and training services. With this service, you’re assigned a Quality Manager that is dedicated to you. They’ll review calls and their findings with managers and supervisors. Then, they’ll provide expert advice on how to coach to improve any issues found, as well as provide recommendations on where your call center can improve. After all, call monitoring doesn’t help if there’s nobody there to review calls and give feedback.